At Energy Management Solutions, we recognize the need to conserve energy and natural resources as part of our everyday living. It is our goal to assist companies not only to conserve energy but to make it financially feasible. 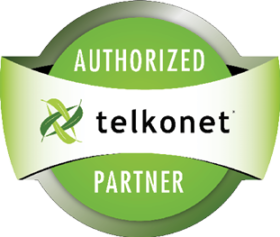 This is why we chose to partner with Telkonet Energy management System. Telkonet is a clean energy company that helps decrease operating expenses, reduce carbon footprints and improve sustainability with the green technology intelligent automation platform. The EcoSmart System can be used to qualify for LEED certification, secure rebates from a local utility company or prove a facility has achieved brand sustainability standards. To be a company that strives for excellence and is known for our integrity in the way we treat our customers and employees. To deliver exceptional service that meets the needs and expectations of each and every customer we serve. Select your industry below to learn more about our custom solution for you. Providing commercial building operators with in-depth energy usage information, control and analysis, which effectively helps reduce energy consumption and improve facility management with a measurable ROI resulting in huge savings. We pride ourselves on providing top of the line Energy Management Solutions to our top of the line clients. Through our team of providers and affiliates, we can guarantee all of our clients a successful transition into energy savings and sustainability.